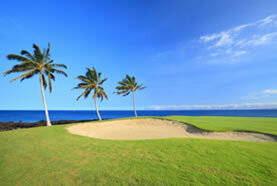 Ka`Å« Â (kah-oo) stretches from Volcano to South Kona and represents the southern end of Hawai`i Island. 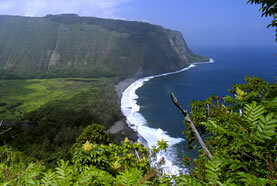 Larger than the entire island of Oâ€™ahu, the Ka`Å« Â district has over 80 miles of undeveloped coastline. 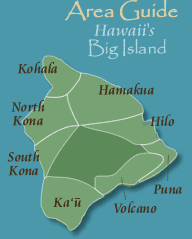 The vast majority of the district sits upon the slopes of Mauna Loa, one of the worlds most active volcanoes and the tallest uninterrupted mountain in the world, rising over 30,000 feet from seafloor to summit. Historical Ka Lae (the point) (Kuh-Lye) is the point where Mauna Loa emerges from the sea and rises over 13,000 feet to its summit. From this point, you would have to travel 2300 miles before finding land. 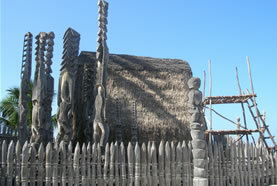 With carbon dating going back to 200 A.D., Ka Lae is significant as both a landing site for the earliest Hawaiians and a possible departure site for other Polynesian settlers. 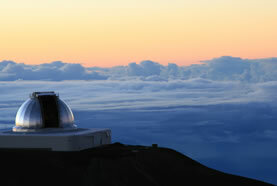 Ka Lae features the Puâ€™u Aliâ€™i Burial Site and Lua Palahemo, a place from which, on a clear day, you can see all of Ka`Å«. 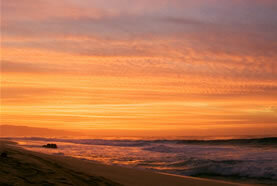 The point is also famous with anglers, who can fish for deep-sea fish from the shoreline. 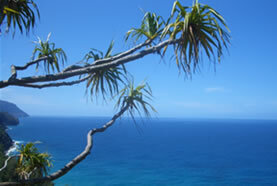 The 2 Â½ mile one-way coastal hike Â to Papakolea (pah-pah-ko-lay-uh) to see the green sand is one of the most popular activities in Ka`Å«. Staying in Ka`Å« Â makes this a great early morning activity. You can get good instructions from your innkeeper. 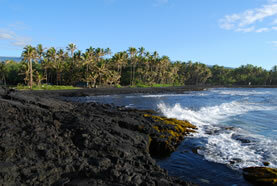 Punalu`u (pooh-nah-loo-oo) features easy coastal walks and a black sand beach. The area is home to a group of endangered green sea turtles. 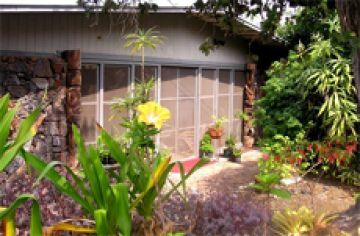 As you move inland from the eastern coastline, Ka`Å« features the historic sugar towns of Na`alehu and Pahala, and a scenic drive through new coffee plantations to Wood Valley. 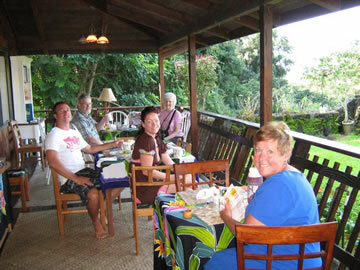 2009 marks the start of the annual Ka`Å« Coffee Festival . The local farmerâ€™s market in Na`alehu happens every Wednesday and Saturday morning. Local produce, honey, coffee, bread, and an abundance of fruits are combined with several local artists who make what they sell. 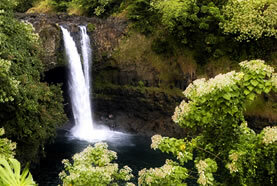 Ka`Å« Â also features a lava tube system that you can make reservations to see and a variety of excursions that require some advanced planning. Hiking in the forest reserve that borders the new southern section of Hawaii Volcanoes National Park and catching one of the occasional tours in the park itself are unique examples.